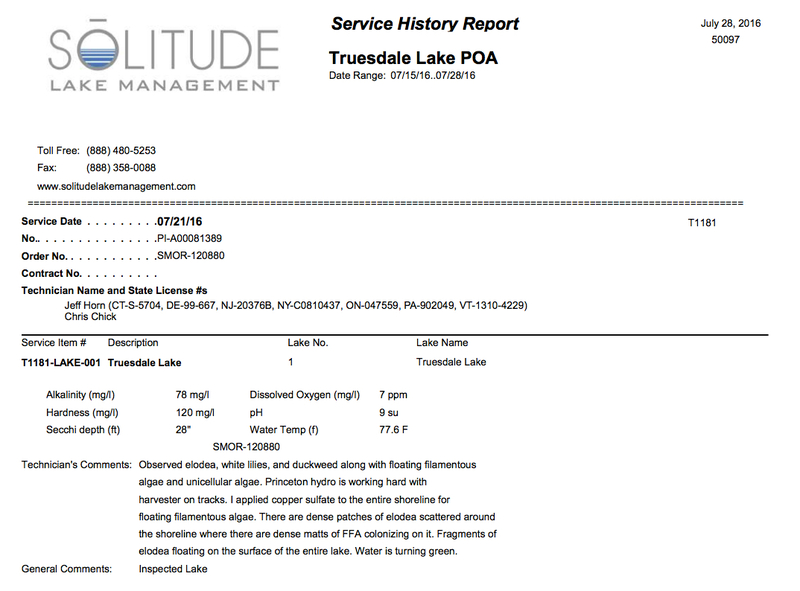 Truesdale Lake was treated with Copper Sulfate for algae control on 7/21/16. Observed elodea, white lilies, and duckweed along with floating filamentous algae and unicellular algae. Princeton hydro is working hard with harvester on tracks. I applied copper sulfate to the entire shoreline for floating filamentous algae. There are dense patches of elodea scattered around the shoreline where there are dense matts of FFA colonizing on it. Fragments of elodea floating on the surface of the entire lake. Water is turning green.